Try something new this new year that suits your style. 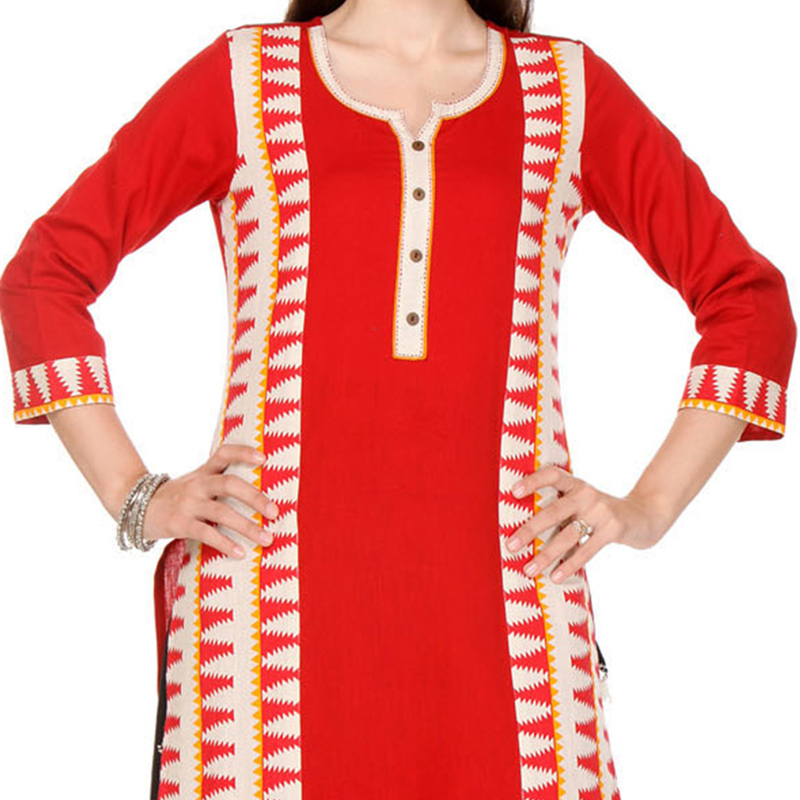 This red - cream small temple design printed kurti is made from rayon fabric which is comfortable to wear for casual & regular purpose. Dress it up by pairing this kurti with matching palazzo or leggings.